So what does it feel like being back at work? Wonderful. I bought a new pair of four-inchers and the shortest tulip dress I could find. Hello intellectual emancipation. Not that I didn't make the best possible use of maternity leave. I researched the purchase of Mini Basu's every toy, wardrobe essentials, equipment with the fervour usually reserved for groundbreaking client reports. I shook in my shoe boots as I read the latest baby management techniques. For the third time over. Mostly, I bonded with the little fiend. Wooden spoons, I am proud to report, are her favourite kitchen gadgets. Six month's later, I was tripping over myself to get back into the real world. Heartless me! It's clearly okay to be asked why I don't want to spend more time at home with mini Basu. It's clearly not okay to wonder why one would want to embrace soiled nappies instead of a well-deserved promotion. Or am I being unreasonable? It's not easy. Racing home to see mini Basu, feeling guilty most of the time, about mostly everything. Still, I think I'm lucky to live in a world where I can make the choice. I choose rushing around. And moist Keema Aloo, or lean mincement with potatoes, tucked into a pitta bread. Something different to an every day spag bol supper. Chop the onion into little pieces and peel and cut the potato into little cubes. Bring the oil to heat over high in a large pan. When it’s hot, saute the onion and ginger garlic paste for 5 minutes until soft. 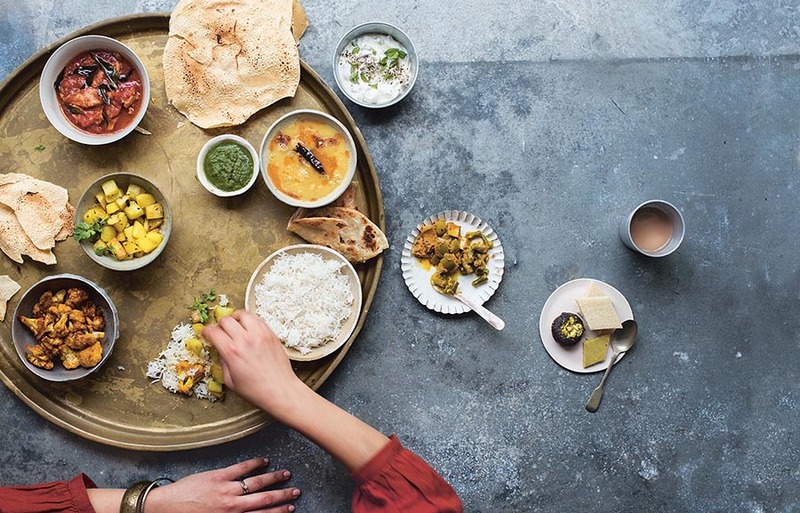 Add the mincemeat, turmeric, chilli, cumin and coriander, and cook, repeatedly bashing with a wooden spoon, until the meat is brown through and through. Next roughly chop and add the tomatoes, potatoes, yogurt and half a pint of hot water. Lower the heat to medium and cook uncovered for 20 minutes. Stir this every 5 minutes carefully without breaking the potatoes to make sure the meat doesn’t stick to the bottom of the pan. When the time’s up, stir in the garam masala, black pepper and salt to taste. Sprinkle with fresh coriander if you fancy and eat tucked into a toasted pitta bread with mango pickle. Have you gone back fulltime, M? Mallika, I can imagine the feeling, that is exactly how I felt too guilty and all. A wise coworker once told me when they hit the 11/12 and teen years is when they want you around all the time, though they won’t say it. When they are tiny being in a safe clean environment and fed on time should be the most important and if somebody other than you can provide it. Fine. I did not understand it then but now that DD has reached 11 I understand what she meant. Enjoy what you are doing. 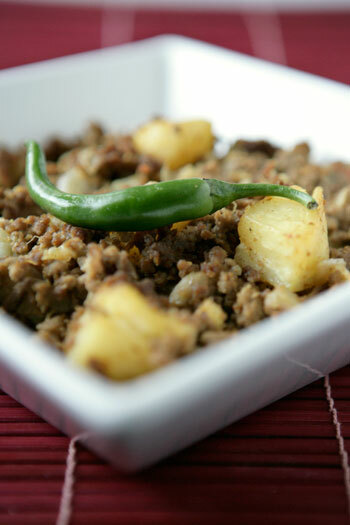 This kheema with potato is the best. Hugs to mini Basu. I spent the first 5 and 7 years home with my children due to insufficient funds for daycare (cheaper to stay home than to work!). While I love them dearly and was glad to share the time with them, the way we live our lives now without extended families means we don’t get intellectual stimulation and we don’t get breaks. I think that daycare (chosen well) gives the children interaction with other people, gives parents interaction with other people and makes us all more well-rounded human beings. Children in daycare learn more about how other people see the world–isn’t that a good thing? And if staying home with your kids is your thing, and you put effort into that, that is a good thing, too. I think it is narrow-minded to tell a mother she must stay home. A mother who stays home just to avoid having to work isn’t better for a child if she spends the time doing things that are fun for her. What I mean to say is, whoever spends time with the child should be focused on meeting the needs of the child-so that can be the mother, the father, auntie, grandma, or the child care provider. We should focus on “getting our kids what they need to grow and learn” and not so worried about conforming to notions of who does it. It sounds like you have that focus, and mini-Basu will thank you for it when she is an adult! Come on, your work needs you. Its ok Mallika, don’t feel guilty, Mini Basu is happy isn’t she ? How sweet, thanks! Mini Basu is having a blast. I’m back four days a week Planethalder. Hope your LOs are all doing well. Hey Mallika dont feel guilty . I’ve been through this . Its hard at first but one gets used to it . Im sure Mini Basu’s going to thank you later for not being a SAHM . Yummm this looks delicious for all of us busy working folk, mums or not. You are inspiring, Mallika! I am deathly afraid of turning into mush brain if (when?) we have babies. You give me hope that kids won’t take over every aspect of life, but rather enhance it. Belated congrats, been awhile since I’ve been by here! Seems like just yesterday our son arrived, now he’s a great 4 year old sous chef! This is the firs time I visited your blog and I loved it. I just tried one of your dish and my kids really enjoyed it.